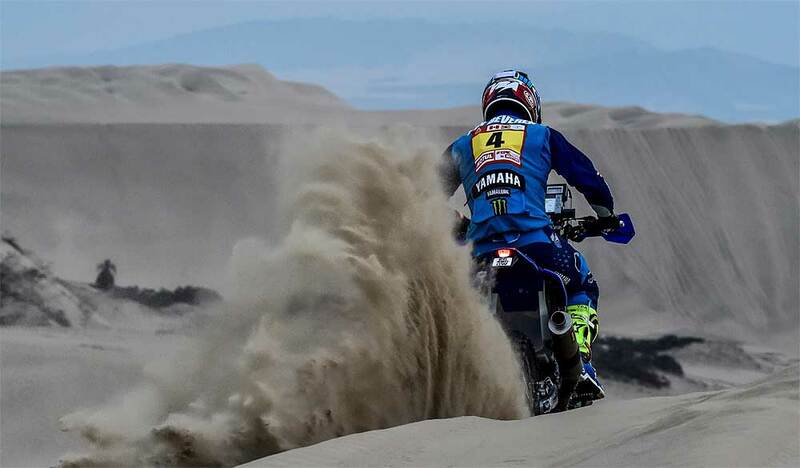 Making the best of a demanding stage three, Yamalube Yamaha Team riders Adrien Van Beveren, Franco Caimi and Xavier de Soultrait all remain within striking distance to the provisional overall leaders of the 2018 Dakar Rally. 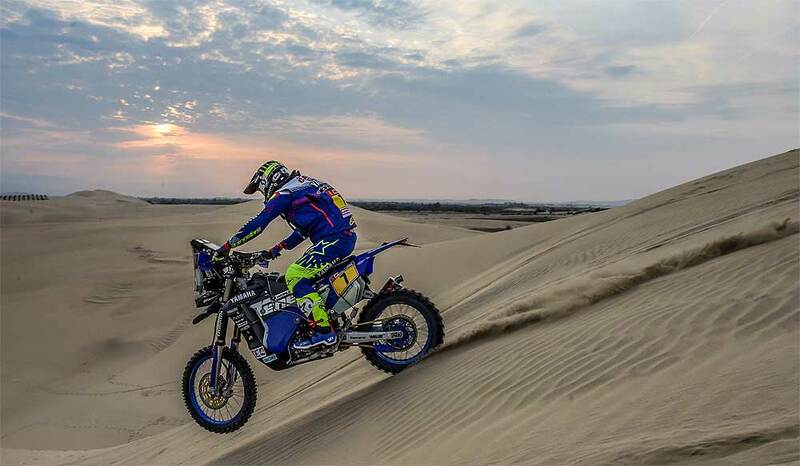 Putting in a solid performance in the Peruvian dunes, their teammate Rodney Faggotter secured his first top 20 result at this year's event. 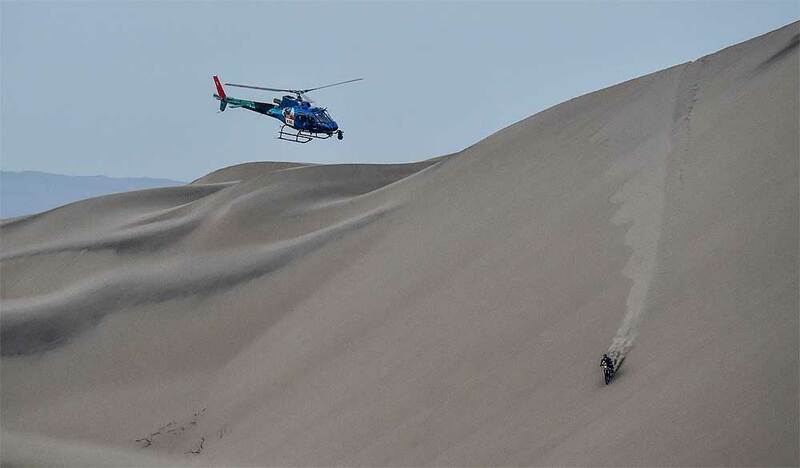 As the second rider to take the start of Monday's SS03, Adrien Van Beveren was one of the first riders assigned with the demanding task of finding the correct route in the unforgiving, sandy dunes of Peru. With many parallel tracks in numerous parts of the special stage, the Frenchman made a few small mistakes, wrapping up the day 13 minutes behind the stage winner. Continuing his strong run of form in this year's Dakar, Adrien is now sixth in the provisional overall standings. "It was a difficult day but nothing is lost," Van Beveren said. "Being among the first riders to start the stage did not help today but I did my best to remain focused. I had a few small crashes in the dunes. The sand was super soft and it was a physically demanding stage. Despite all the ups and downs during the stage, I am happy that I reached the finish without losing a lot of time. I managed to make the best out of a tough stage. My result might not be the best, but it's not terrible. Tuesday we have the motocross-styled start and I will be within the second group of riders starting the timed special. If it all goes well I will be able to make up some of the time lost on Monday." Despite this only being the second Dakar of his career, Franco Caimi showed maturity and a great ability to navigate under pressure. Despite struggling to get his waypoints validated the Argentinean managed to remain focused on his riding and wrapped up the stage as the best performing Yamaha rider in 13th place. Franco is now 10th overall and 13 minutes behind the provisional overall leader. "The stage was really tough and had a pretty demanding navigation," Caimi told after the stage. "I felt good from the beginning and my Yamaha was also running great in these conditions. In the first checkpoint I struggled to get my waypoints validated and that saw me lose my focus momentarily. Overall, my pace wasn't bad at all today. I might not have been the fastest out there but I did not make any big mistakes and stayed consistent throughout the day. There is still many kilometers to go at this year's event and nothing has been decided yet. My focus now is to wrap up the next two sandy stages of Peru with some good results." Satisfied with his overall performance for the day, Xavier de Soultrait continues his considered run towards the finish of the race. Enjoying a good overall feeling on his WR450F Rally machine, the Frenchman found himself racing inside the top five for much of the stage. Making a small navigational mistake before the finish of the timed special, Xavier was 14th for the day. "I had a great start to the stage," the French said. "My navigation was good and I was making up some ground to the leading pack. I think at one point I was fourth in the stage. As we were getting close to the finish of the timed special I made a small navigational mistake and lost about seven minutes there. It's part of the game and nothing is lost yet. I have a good starting position for Tuesday and the rally still has a long way to go. We might only have raced three stages so far but this event is shaping up to be really hard and in some parts dangerous. There there were many hidden stones in the tracks and you had to be 100% focused to avoid them." Enjoying what was possibly his strongest stage performance in this year's event, Yamalube's Rodney Faggoter got his first top 20 result finishing the stage in 18th position. Three stages into the 2018 Dakar Rally and the Australian is currently 21st in the provisional overall standings. "I had a pretty good day," said Fagotter. "I started off with a good pace and kept my rhythm all the way to the finish. I am feeling really good on the bike in these conditions and this also helps me stay focused on my riding and navigation. We have a solid machine that is fast and safe at the same time and this is a big advantage in long races like the Dakar. I am having great fun so far and everything is going good for me." Yamaha powered riders continue to dominate the Quad class of the 2018 Dakar Rally. With Ignacio Casale securing yet another stage win, the first twelve spots in the provisional overall standings of the class are occupied by Yamaha mounted riders.